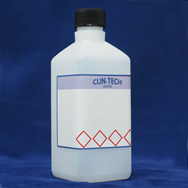 Immersion oil for use in microscopy. 500 mL refill bottle. Choose product codes 610993 or 610996 if you require a dropper bottle to use at the bench.